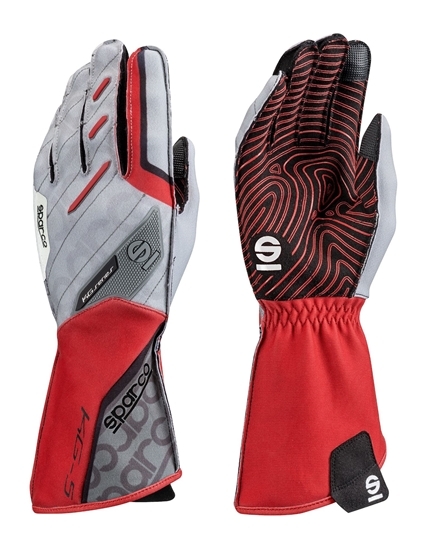 The Motion KG-5 karting glove offers technology, protection, comfort and style. Made from a durable synthetic outer, the Torpedo KG-5 features a touch sensitive index finger and thumb for use with touch screen electronic devices such as data logging. The Motion KG-5 has a high-grip silicon printed palm for ultimate steering wheel grip. 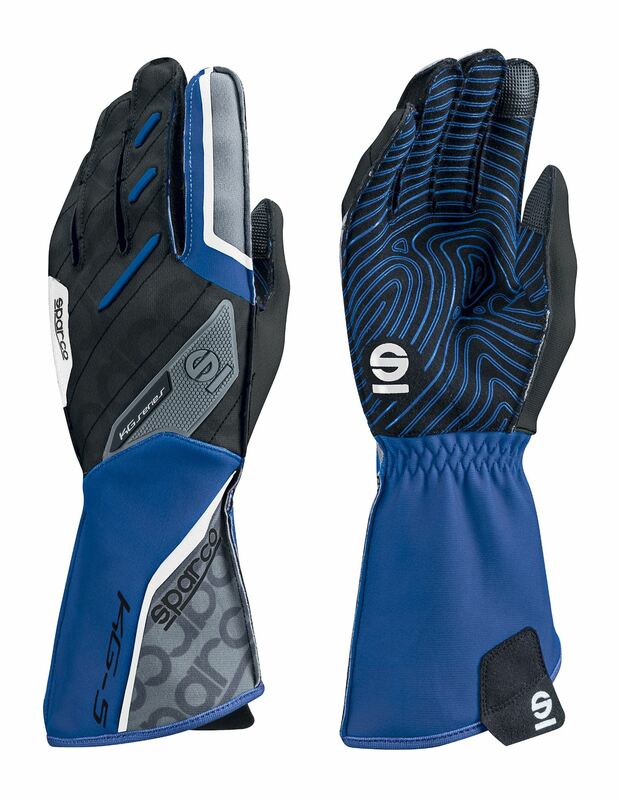 Contrast designs and signature Sparco logos are printed on the back of the hand. 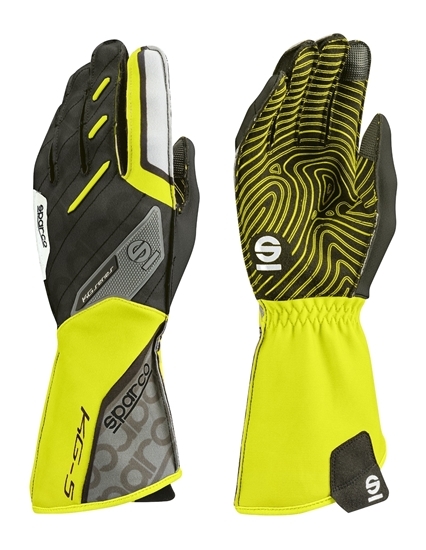 The Motion KG-5 has pre-curved fingers and external stitching for excellent comfort. The Motion KG-5 has an elastic cuff with a suede puller for easier dressing. Available in four colors.